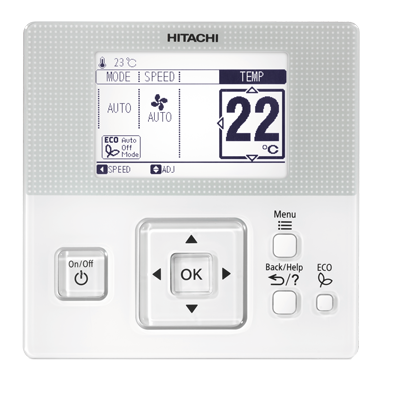 New Model Hitachi Wall Splits – Available Now! HVAC Supplies have now received stock of the new Hitachi YHA4 inverter wall split models. These new models feature white casings with contemporary smooth lines and when combined with our current models, provide a complete range of modern inverter wall splits which fully complement one another. This exciting new release covers the RAS/RAC 50, 60, 70 and 80YHA4 offering 5, 6, 7 and 8kW’s respectively. They complement the current 2.5kW and 3.5kW models ensuring there is a model to suit any size room. Hitachi technology provides a room that is clean, cool and free of allergens with their unique Nano Titanium Wasabi air purifying filtration right across the range. Clean, cool, allergen free air – Hitachi’s Nano Titanium Wasabi air purifying filtration provides a powerful antibacterial, anti-mould, anti-allergen and deodorising effect, reducing bacteria and allergen levels by around 99% and 95% respectively. Even coverage of the entire room – Hitachi’s multi-directional, horizontal and vertical, auto swing louvres provide a greater distribution of air to cool or heat the room evenly. Lower running costs -Improved efficiencies provide higher AEER and ACOP figures. 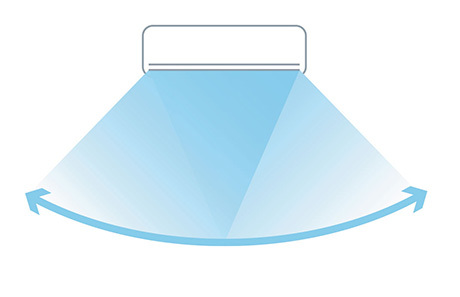 Significant energy savings – An ECO mode setting enables the user to achieve significant energy savings. Cools and heats rooms quickly – A Powerful mode allows users to run their system at maximum output for 20-minutes. Powerful mode projects airflow further and faster to cool or heat a room quickly. Greater flexibility and control – New optional wireless and wired controllers each packed with new functions. An advanced seven-day timer allows you to set up to six on/off time and temperature settings for each day of the week. You can even preset two seven-day schedules. Easy to install – To make installations simple and easy, wiring is standardised to 3 Core + E right across the range. Fit in tight spots – Hi wall units are now shorter in width improving the ability to install into tight locations. For more on these new models download the new brochure here or give our sales team a call today.